It took some time, effort and a 9-hour drive one way but I accomplished my goal of qualifying for the USAT Age Group Nationals to be held September 25th in Tuscaloosa, Alabama. Whew! Qualifying was my only triathlon goal this year and this was my last chance to do it. The race was the Evergreen Lake Tri in Hudson, Illinois, an Olympic distance race. This was the closest regional qualifying event left before Nationals...that's why I drove 9 hours to race (I should say 'we' drove because my good friend, Rusty, volunteered to come with me to keep me company and help drive....GREAT guy!). Being the middle of July I expected race day to be hot, even in the middle of Illinois. It didn't disappoint. There were a few things I didn't expect, however. The water temperature was 82-degrees race morning which is very warm. I've never done a race with water temperatures that high. That meant no wetsuit. I also didn't expect there to be big rollers like there were on the bike. I expected Illinois to be flat and fast. The wind was blowing harder than I expected as well. Overall times were slower than I've come to expect. The winner of my age group crossed the line in 2:25:and change. Usually the winner of the male 45 - 49 group finishes the distance sub-2:10. My time was 2:53:and change, good enough for 10th out of 30. I guess the heat and hills wreaked havoc on all. I was more relieved than anything when I realized I qualified. I wanted to accomplish my goal. Now I have one more race this season. One more good, hard block of training weeks to go in 2010. I will concentrate on my run, try to strengthen my swim and maintain my bike. I didn't know Marilyn Fulper. She had no idea that when she awoke early Sunday morning that it would be her last bike ride. It would be her last day on earth. 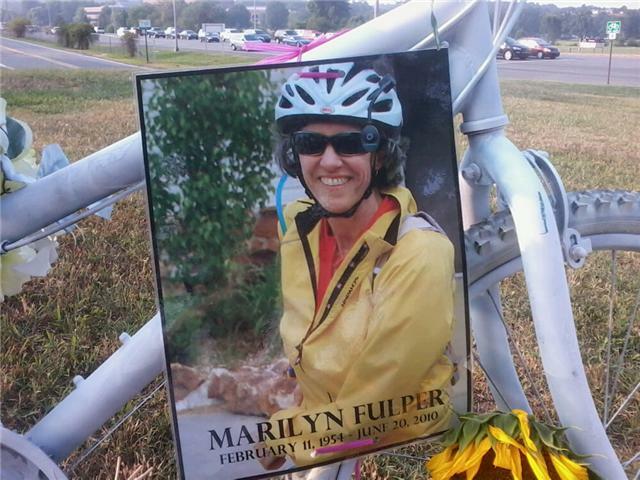 I don't know the person who hit Marilyn Fulper with her car, either. A hit Marilyn would not survive. A bike painted white sits at the corner of Hwy 10 and River Mountain Road in Little Rock, the place the tragic accident occurred, as a memorial. It is indeed a tragedy. One accident tragically alters many lives forever. It's a tragedy that occurs all too often across the country and world. Some one's not paying attention and an irreversible mistake happens. Something like this doesn't get more irreversible. It's an awful way to learn a lesson! And, really, what lesson is learned? Are you going to never drive distracted again? Probably not. Something, at some point, is going to distract you. You can certainly minimize what you let distract you. By all means, don't text or use the Internet with your phone and don't use alcohol while driving. I'm not certain, but I believe neither were involved in this particular accident. Cars and bikes are going to always share the road. For those of you in the cars, please, please pay careful attention. It's difficult to overcome being struck by your car. If there's another lane, please use it and give the Cyclist plenty of room. It's OK to slow down a little too. Cyclists, wear your helmet, obey traffic laws and wear things that make you clearly visible. We have to learn to share the roads to keep senseless tragedies, forever life-changing tragedies, like this one from happening. June is coming to a close. By all accounts that means July is looming. That can mean one thing. Le Tour de France! Love me some TdF. Also, love me some Versus because they show it all day long. Over and Over so you can catch it at one time or another. I'll have my eye of several teams and riders. For sure RadioShack will be front and center as well as Astana. Astana is not the same team it was a year ago. Of course they still have Alberto Contador, a.k.a. the defending champ! But gone is Lance. Gone is Levi. Gone also are a few other riders that helped support that team. Will they be as strong? Did they accumulate enough talented riders to help Contador repeat. Is Lance strong enough to compete? Is he too old? Will Levi be satisfied with a support role or will he want his day in the sun? He was strong last year until a bike wreck broke a bone in his wrist forcing him out. Will one of the Schleck brothers stand atop the podium this year. Will a dark horse steal the show? 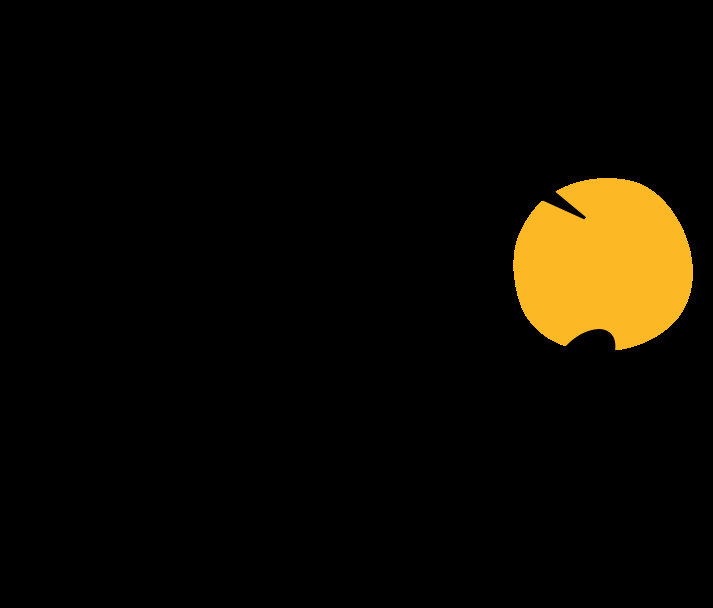 The sprinters will sprint and the climbers will climb but who will stand alone in the general classification when it's all said and done. Twenty one racing days covering 2,236 miles. The biggest bike race in the world is about to commence. Let'em roll! Joanna Zeiger is one of my favorite triathletes. She's competitive at every distance, she's had a long, consistent career being competitive at every distance, she's a very intelligent person holding a PhD and, having met her, she's very personable. She's apparently also a linguist and creative. I came across this list of words she created and thought I'd pass them along for all you tri-junkies. I'm sure you can relate. Enjoy. Aquarash - The strange burn that appears on the neck after a wetsuit swim. Bodyslam - The full body muscle soreness the day after a race. Cycleroma - The smell of a room after an indoor bike workout. The smell is exponential to the number of people in the room. Gasplorch - What to say to the race official (in lieu of the regular expletives) who pulled you over for littering when your bottle escaped after hitting that bump in the road. ill Suiter - An individual who wears their wetsuit backwards or inside out. Invisibuoy - The disappearance of the huge orange or yellow buoys on the swim if it is rough or if the sun is in your eyes. Overage - Adding a few runs to your run or bike ride beyond what you had planned on your schedule. Overstride - What happens when you are fading in a race and then drink a cup of cola. Runnerstummy - GI distress that occurs during long runs, speed sessions or races that forces you to stop. Spreader - An individual who takes up too much space in transition and encroaches on your area. Tridew - The clammy, awful state that your gear is in when you have to pack it wet after a race. Yo-Yoer - A person who passes and drops back and repasses and drops back and passes again during training or a race. Can you make up more? This very strange day started in a van down by the lake...literally. So, how's that for a set up? It was a strange day and it did start in a van down by the lake. I actually slept in my van the night before the race and my van was situated down by the lake where the swim took place. The accommodations were, strangely enough, not that bad. I hid all the back seats in my nifty stow-and-go van, inflated a blow up mattress, let the car running for the A/C and locked the doors. It was quiet and I had plenty of room. I also had a power outlet to run my computer allowing me to watch a movie and check email. But who am I kidding? It was kind of weird. I didn't plan to sleep in my van down by the lake when I signed up for this race back in December. By the way, the race was the Memphis in May Olympic distance triathlon I've done for the past several years. It's unofficially the start of my race season. As mentioned, I didn't plan to sleep in my van; it just worked out that way in the end. Normally our entire posse participates in this event but for one reason or another our posse started dropping like flies in the kitchen of a determined mother with a fly-swatter. No Trey or Heather or Shannon or Troy or Ernie or Gary or Bird or Dean. It ended up being just me. Many racers and their families camp out at the race site every year. This year Trey and I decided we were going to join them. He was going to bring his tent and cots and we were going to camp out. Trey started hinting that he may not be able to go this year because work had become very demanding...I don't know, something about this tiny oil spill in the Gulf...please! (Seriously, I'm just kidding, it's really overwhelming). When he started hinting at that I booked a hotel close by. I thought it would be too much of a hassle to go the tent route plus I thought Bird may join us in the hotel. Trey ultimately flushed the race and Bird took his entire family to Memphis with him. As much as I like the Birdwells I determined it a bit awkward for all of us to stay in the same hotel room. Not to mention that they got their own room...at another hotel. As a side note, issues arose for Bird and, as mentioned above, he didn't do the race even though he was in Memphis. When it came down to it I didn't really want to spend that kind of money for a hotel room by myself. So I slept in a van down by the lake. I just laid a lot of groundwork to set up the fact that the day started abnormally. At least in the spirit of consistency it stayed abnormal the entire day. Not necessarily a good thing! After waking up in my van down by the lake (earlier than my alarm went off...of course!) I ate about half a Cliff Bar and downed some GU2O, popped open the van door and began gathering my gear to get ready to head down to transition. Normally during this time you chit-chat with your buddies. However, as mentioned above, none of my buddies were there. I know, poor me, right? Setting up transition most of the participants were waiting to hear what the water temperature measured so we could know if the race was wetsuit legal. According to USAT rules the water has to be below 78-degrees in order to be able to wear wetsuits. Because of the unseasonably high temperatures for this time of year it was touch-and-go as to whether wetsuits were going to be the order of the day. Twenty minutes before race time it was announced....the water temperature was....wait for it...77-point-7 degrees! The announcement was met with mixed reactions. Most folks appreciate wearing wetsuits because they simply help you swim faster. It makes you more buoyant. However, the combination of wetsuits and high water temperature can cause you to overheat during the swim and elevate your heart rate. Fast forwarding a little...transition is ready, wetsuit, swim cap and goggles are on. Down to the water I go for the time-trial start. I get the tap on my shoulder and off I go. I'm not a 100 meters into the swim and I can feel my timing chip loosening around my ankle. Well that's no good! No timing chip, no time! So I had to stop and try to adjust this thing. It sounds simple, but not necessarily easy. I apparently didn't do it right the first time because about 200 meters later I felt it loosen again. Adjust, swim and it loosens again. Starting to get hacked off. Fortunately the third time it happened I was near a kayak so I was able to brace myself and secure it properly for good. At 29:05 my swim time wasn't my best but it wasn't my worst either. I probably killed a minute-and-a-half trying to secure that dang chip> So all-in-all I could live with the swim. As mentioned above the air temperature was abnormally high for this time of year. It was humid as well. I don't do as well in the heat especially when it's early in the season and I haven't had an opportunity to train in the heat. By the time I transitioned to the run it was 90-degrees. My heart rate was up and I was cooked. I could tell right away that me and the run were not going to be friends on this day. I was right. 6.2 miles and an hour-and-13 minutes later and my race was over...mercifully. I walked as much, if not more, than I ran. But, dang it, I finished. Everything inside of me told me to turn back and stop. End the day. Make it go away. But I couldn't do it. I heard a great quote one time with regards to the Ironman World Championships saying, "you can quit and they won't care, but you will always know!" So I trudged the distance pouring as much cold water over my head, down the front of my shirt and down my back as I could. I did run the last few hundred yards and near the end a runner encouraged me to finish strong. Little did he know that I was just glad to finish, though I appreciated the support. When it was all said and done I crossed the line in 2:55:02. It was my worst Olympic distance time by far. But the story doesn't there. I really struggled once the race was over. Very light headed. I thought I was going to hit the deck a couple of times but managed to stay upright....until I was smart enough to sit down. I made i home, checked my time on-line and it read 2:57:02! I was penalized 2:00 for "equipment abandonment". During the race I apparently hit a significant bump and lost a water bottle our of one of my cages on the back of my seat. I didn't notice until the race was nearly over. The bright side of that part of the story is....if ever I was going to be penalized in a race this was the one to have it happen...because I did not care. Besides, what's a pound to an elephant at this point? Overall it was a tough day. But as I look back on it, I consider it to be a very good, hard training day and I now it will make me better in the future, if not smarter about racing. It was a miserable day but I'm looking forward to doing it again! It's been nearly an eternity since I've posted (or two months, whichever is shorter). Much is happening and the time just slips away. Not uncommon I'm sure! I've been hot and heavy training for my first triathlon of the season. The Memphis in May Olympic tri is in about 5 weeks. I'm really looking forward to it to see what I can do. As I've mentioned before I'm attempting to qualify for the USAT Age Group Nationals held in September. To qualify you have to be in the top 33% of your age group. In order to do that, based on past years results in my age group, I'll have to PR. It's do-able and it's really giving me something to shoot for. I'm approaching this event like you would a class where there are no grades but you merely receive a 'pass/fail'. I will either qualify or I won't. There's no middle of the road. I've never approached a race like this before so it'll be a new experience. What makes it different for me is I'm going with an all-out effort. Right now, that's how I'm training. It's kind of scary. I've typically taken a somewhat conservative approach during a race, trying to leave a little in the tank throughout. I've never put the pedal to the medal, so to speak. I may totally bonk! Hope not. One thing is certain, I will learn something either way. my new tri top is going to make me super-fast! So I got that going for me, which is kinda nice! 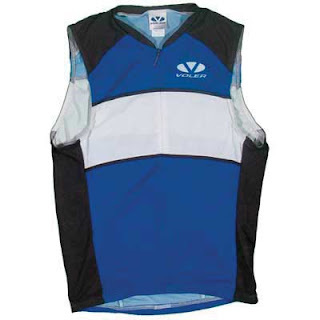 Oh, and the other nice thing about my new super-fast tri top is that I got it for $15 (including shipping!). Heck of a deal. It's regularly $55. Pretty excited and proud of my youngest. He went to Russellville for a Valentine's Day kids run today....and finished top spot on the podium! He won the race! Winner, winner, chicken dinner...Great job Will. I think we have a budding runner on our hands.